Windows 10 gets stuck at “Resetting your PC” screen for a lot of people. Your PC will be stuck at a certain percentage and will remain there indefinitely. Most commonly, PCs hover around 8%, 66% or at the dreaded 99%. This can happen at any percentage. If you look online, you’ll see hundreds of threads of people complaining how their PC/laptop is stuck at a certain x percent while resetting. Sometimes, this problem is just temporary, and the progress bar eventually goes to 100% to complete the resetting process. For many people, though, their PCs get stuck at this resetting screen and don’t work indefinitely. If you are one of those people who have tried resetting their PCs and are stuck at the Resetting your PC screen, there are a few questions that may come to your mind. Is it safe to forcefully reset the power of your PC/laptop? Would that cause data loss? Would that cause any hardware problems? The answer to the first question is YES and for the other two, it’s NO (for the most part). Unless you are very unlucky, the chances of having hardware damage or data loss are minimal. In fact, it’s negligible. If I were you, I’d have forcefully powered off my PC and then tried the resetting process from the beginning before reading this article. What causes Windows 10 to get stuck at “Resetting your PC” screen? Let’s go over these two issues and try to fix them. You may have multiple peripheral devices and other components connected to your PC at all times. These include your GPU, USB devices, and other external components. While resetting your PC, Windows 10 tries to install the default available drives for these components to make them work. This is to ensure that you’ll be able to properly use your mouse and listen to the audio on your speakers even before installing their respective drivers. Sometimes this background installation doesn’t complete successfully. And, since you are still on the resetting screen, Windows has no way of telling you what error has occurred on your PC. Thatswhy sometimes your PC can get stuck on the “Resetting your PC” screen. To counter this problem, the easiest solution is to remove these peripheral devices for the time being. That means removing your graphics card, externally connected USB devices like USB mouse and keyboard along with anything else that isn’t explicitly required. With no extra connected hardware, Windows 10 won’t try to install anything during the resetting process. The resetting process isn’t perfect. It only works on the PCs that are not messed beyond repair. If you have lots of bluescreen errors, crashes, and generally unstable system, the chances are that something is wrong with your OS installation. Windows itself won’t repair itself correctly. To counter this, you can try repairing your OS installation using Windows 10 ISO file. To make this work, you will need another PC which you will need to create a bootable USB drive. 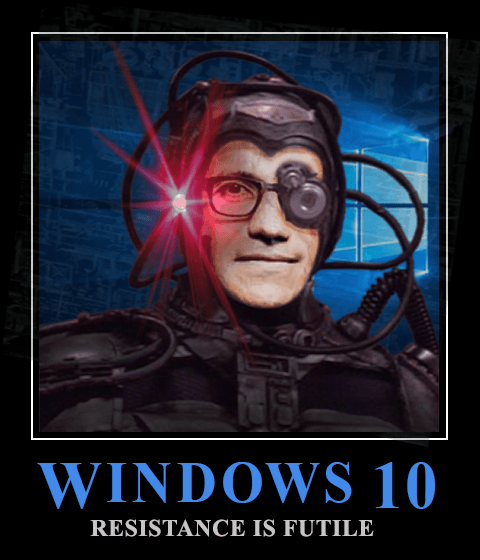 Download the Windows 10 ISO from the link above. Insert the USB drive on any USB jack of your PC/laptop. Download the Universal USB Installer and open it. Click on “I Agree” button. In the Step 1 heading, select Windows 10 Installer from the drop-down list. For Step 2, click on Browse and select the Windows 10 ISO that you downloaded in step 1. For Step 3, select the USB 16GB from the drop-down list. If your USB drive doesn’t show up in this list, click on “Show all Drives” check mark and then select your USB drive from the list. Click on Create and wait for a few minutes. The Universal USB Installer will copy the Windows files from the ISO to your USB drive. This can take from 5 to 20 minutes depending on the speed of your USB drive and your PC. Once that’s complete, unplug the USB drive from that PC. Now, insert this USB drive to your PC which is stuck on resetting screen. Press the power button and boot from it. Depending on the manufacturer of the motherboard, the process of booting via a USB drive can differ. Some ask you to press F2, while others boot by mashing the Delete key. Check the manual of your motherboard. Once you are in the setup screen, select your preferred language along with time/currency format. Click on Next. In this screen, click on Repair your computer. From there, select Reset this PC. In the “Choose an option” screen, click on Keep my files screen. You can also select Remove everything if you want to start from a clean slate. However, selecting this will remove absolutely everything from your C:\ drive. That means all the data from the Desktop, My Documents, and other folders will be deleted from your hard disk. Select your target OS. You’ll most likely only see Windows 10 in the list. Select it. This is the last screen for confirmation that you want to reset. As you can see in the screenshot, this screen has the details on what kind of data will be deleted from your hard drive. Click Reset button and wait for it to complete. That’s it. After doing all that, your PC won’t remain stuck on the “Resetting your PC” screen. If you have any questions about the steps or if I missed something, please let me know in the comments section below. My windows reset is stuck at 32%. I wanted to know if I shut my laptop off manually using the power button, just turning it on would automically start the reset from 0%? I’m a bit confused. Do I need to boot form a USB or what? P.s. this is probably one of the most useful posts for this error. Thanks a bunch! If your PC has been stuck on an update for an hour or more, you can simply switch it off and then turn it on. Windows will handle the failure to update issue automatically. Press and hold the power button for a few seconds for forcefully turning off your laptop. Perfect. Thank you so much! You make the world a better place. Will an external hard drive work instead of a USB stick? Yeah, of course. Just make sure that you don’t format the pre existing (if any) data on the hard drive.